A superb quality gold Compass and Square Past Master's neck Jewel. The Jewel comprises of a normal Compass and Square, which is gold, with fixed "G", which is also gold. The handle of the Square is engraved with five shamrocks, and the Compass with six on each leg, totalling seventeen. Bro. Rev. J.A. Ford. W.M. of his leaving Ireland. 14th Sept 1898"
The Maker's Mark on the reverse of Jewel is "WS". Short History of Warrant No. 137. Warrant No 137 issued to brethren at Labour at "Mr. Bray's", Swan Alley, DUBLIN, in September 1743. Warrant No. 137 was cancelled on the 4th February 1837. History of Sussex Lodge No. 137 1842 - to date. "Read an Application from 3 Brethren, Dr. William Heivee, Ch. O’Kelly and Andrew Home, Ballinasloe, praying that a new Warrant may be granted to them for forming a Lodge in that locality and accompanied by the several vouchers from 3 Lodges.Resolved That the Board recommend the Grand Lodge to grant a New Warrant accordingly. Granted 137". "Warrant No. 137 to Ballinasloe, Co. Galway as “The Sussex Lodge”"
Warrant No. 137 reissued to `Sussex Lodge' in BALLINASLOE, Co. Galway, on 5th December, 1842 and Series two Vol. 2 of the Grand Lodge Register shows "Will. Heivee; Char. D. Kelly and And. Home registered 5th December 1842". On 2nd October, 1845 a memorial was read in Grand Lodge from Lodge 20 Sligo, 21 Castlebar, 137 Ballinasloe, 242 Boyle, 340 Strokestown and 455 Eyrecourt praying for the appointment of Bro. 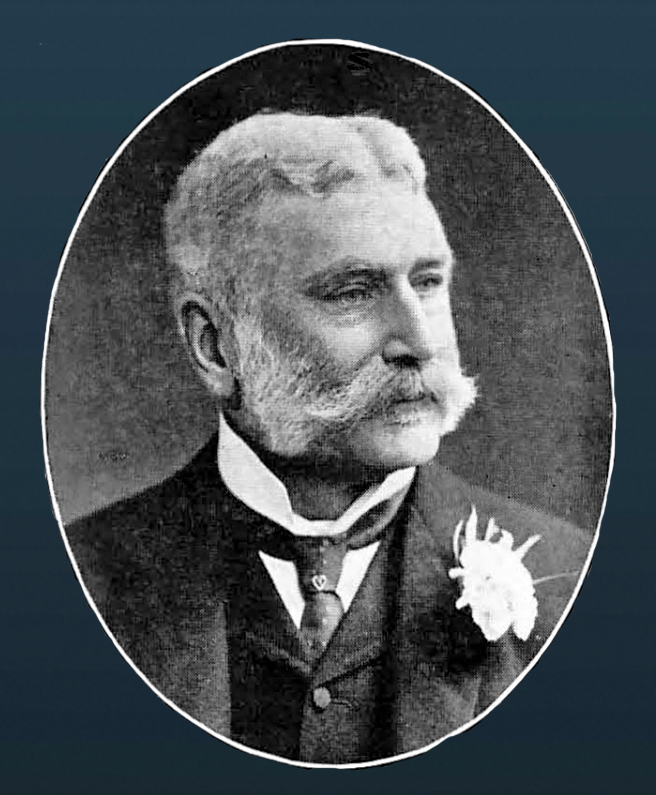 Lord Clonbrook as Provincial Grand Master. The Board of General Purposes recommended and Grand Lodge approved that Lord Clonbrook be recommended to the Grand Master to be Provincial Grand Master for a district comprising the Counties of Galway, Sligo, Mayo and Roscommon but this was not acted upon. A total of 116 brethren registered up to 11th February, 1858. "On the 19th (1866) inst., the Brethren of the Masonic Lodge No. 137, of Ballinasloe, assisted by several Brethren from a distance, laid the Foundation-stone of a new Mansion House, which is being erected at Runnymede, near Ahaseragh, by their Worshipful Master, Joseph Trumperant Potts Esq., J.P. The proceedings, which were of a most interesting nature, were intended, on the part of the Masonic Body in Ballinasloe and vicinity, as a small mark of respect for Brother Potts, for the uniform kindness with which he ever treated the Members of the mystic Fraternity, and for the support which he has always freely rendered to promote every project having for its object the welfare of the Masonic Brethren individually, or for the extension and prosperity of that excellent Order. So well appreciated are the efforts of this gentleman and other members of his family in this respect, that, in the year 1852, the Freemasons of the district paid a similar complement to his elder brother, William Trumperant Potts Esq., when that gentleman was re-building his present splendid mansion-house, Correen Castle, a few miles from Ballinasloe. Their younger brother, Harry T. Potts Esq., is also a Past Master of Lodge No. 137. This Lodge received its warrant from the Grand Lodge of Ireland, on the 6th December, 1842, when it was first opened by Bro. William Haise, Master. Under the patronage of Mr. Potts, the Lodge has rapidly risen to be one of the best of the country Lodges in the West of Ireland, the average attendance being about thirty-five." Member of Sussex Lodge No. 137 , sometime before 1878. FRANCIS SARGENT, Bank of Ireland, Cork, and Monkstown; son of the late Richard Strong Sargent, M.D., of Dublin, Government Inspector Famine and Feyer Epidemic, 1847-48; born 1st January, 1847; educated privately in Dublin. Agent for the Bank of Ireland, Cork; Vice-Consul for the Netherlands for Munster; President of Cork Incorporated Chamber of Commerce and Shipping; Governor of St. Stephen's Hospital, Cork; Governor of the City of Cork School Board; Governor and Treasurer of the Diocesan Board of Education; member and Hon. Treasurer of the Diocesan Council of the United Dioceses of Cork, Cloyne and Ross; Nominator and Member of the Select Vestry of Christ's Church (Holy Trinity, Cork); representative from Cork at General Synod, Church of Ireland, Dublin; for many years a member of the Committee for the Victoria Hospital for Women and Children, Cork; for forty years a member of the Masonic Order, Irish Constitution, having been initiated in Lodge No. 68, Youghal, County Cork, and afterwards joined Sussex Lodge, No. 137, Ballinasloe, County Galway; in 1878 joined the First Lodge of Ireland, Cork, and attained the Thirty-first Degree; Governor of the Boys' and Girls' Masonic Schools, Dublin, and was Grand Superintendent for Royal Arch Masonry in the South of Ireland. The Grand Lodge Register a total of 130 brethren registered up to 11th October 1899. In most cases the dates when the degrees were conferred and the issue of certificates is shown. Five members of The Sussex Lodge No. 137 served in the 1914-18 War and all returned. 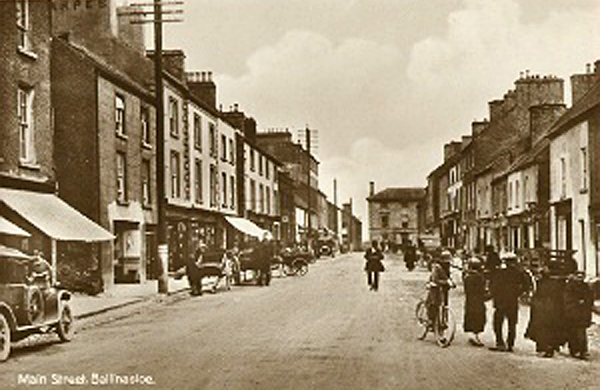 The former Masonic hall in Ballinasloe is the large building at the end of the Main Street. The Hall was raided and burn't out in 1922 however the Warrant was saved and with the help of the Brethren from Athlone a new home was found for them. "Read letter from Lodge 137, Ballinasloe requesting permission to change place of meeting. Leave granted to meet in Johnston Memorial Hall". From 1935 The Sussex Lodge No. 137 met in ATHLONE, County Westmeath, and from 1948 in BALLINASLOE, County Galway (the Lodge now meets in Athlone). Series five Vol. 17 shown as Vol. 1 of the extant Grand Lodge Registers shows "Warrant No. 137 to Ballinasloe (scored out and Athlone inserted (this amendment would have been made circa 1935)) as “The Sussex Lodge”. This particular register commences with the registration of Howard J. McClean, Bank Clerk, registered 10th April, 1924. A total of 71 brethren registered up to 8th September, 1952. In most cases the dates when the issue of certificates is shown, together with the occupation of the brother. Series six Vol. 21 of the extant Grand Lodge Register commences with the registration of C.W., Shop-keeper, registered 11th May 1953 and a total of 36 brethren registered up to 15th March, 1984. In most cases the dates when the issue of certificates is shown, together with the occupation of the brother. Lodge no. 137 continues to function to this day, despite all its troubles and setbacks of the past, and long may it continue to flourish and is known as the "Ballinasloe" Lodge No. 137. Details of when Sussex-Ballinasloe Lodge No. 137 meets. The Sussex-Ballinasloe Lodge no.137 meets on the 1st Tuesday in 2, 5 & 11 at 8.oop.m. and on the 2nd Tuesday in 10 at 8.00p.m. at 9 Northgate Street, Athlone, County Westmeath.